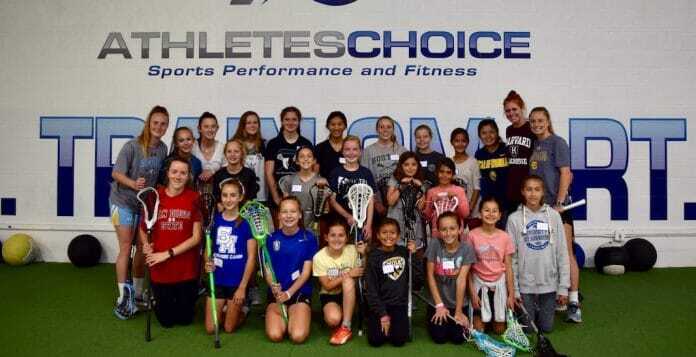 Five local friends who share a love for lacrosse donated their time this past Saturday to introduce a group of young ladies to the game of lacrosse at a free clinic. Mason, who is wrapping up her senior year at Aliso Niguel, will play Division 1 women’s lacrosse at Cal next season. She was joined by St. Margaret’s senior Cailin Young (San Diego State), St. Margaret’s junior Maddie Barkate (Harvard), St. Margaret’s sophomore Campbell Case (Johns Hopkins), and Foothill junior Brooke Williams (Cal). Mason also gave shout outs to Nick Tintle and Holly Reilly for their assistance in making the clinic a reality. “Nick Tintle was extremely supportive and offered the use of his Athletes Choice facility for the clinic,” Mason said. “Holly Reilly continues to be a great mentor to me. She provided guidance throughout the planning process and helped me turn my idea for a free lacrosse clinic into a reality.